160 sweet puzzles from the world over in Picross BonBon - Nonograms! The time has come to unwind with the sweetest adventure you've ever been on! Judith, the charming owner of a small sweet van, and her loyal assistant Toby are planning a round-the-world journey! No challenge is too great for these two. They'll drive their van up the tallest mountains, into the deepest canyons, cross oceans and see the most wonderful treats of the world! But they can't do it without you! So if you haven't packed your backpack yet, hurry up! The sweet van won't wait! Picross BonBon - Nonograms is an exciting intellectual game that fans of griddlers, puzzles, sweets and adventures are sure to love. Watch as level after level, the griddlers you complete come alive and shine with bright colors! 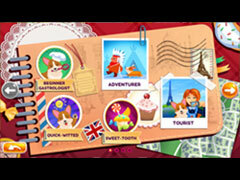 See the wonderful sights of the planet, countries and the desserts they're famous for! 160 themed levels of varying difficulty, featuring nonograms from 10x10 to 30x30 with a relaxing musical accompaniment! - Japanese scanwords that shine with bright colors as you complete them! 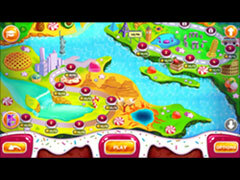 - 5 continents and 160 levels that are sure to go down well with everyone with a sweet tooth! - fantastic training for logical and abstract thinking! - a multitude of candies, fruits and cakes await you! - stunning illustrations and pleasant background music! - over 30 hours of exciting gameplay! - the best way to have fun and train your brain!